Meet the people behind Bright & Company. Alma (1990) joined Bright & Company in June 2015. She has a background in sociology and organisational psychology which helps her unravel and analyse organisational issues; quick and simple when possible, thorough and well thought-out when necessary. As a recent university graduate, Alma approaches her work with an open-minded, exploratory and fresh perspective in order to uncover the roots of an organisational problem or issue. She likes to disentangle complex questions, thereby making them more comprehensible for stakeholders. Alma reaches for solutions beyond the obvious, to make them more valuable, tailored and sustainable. In her spare time Alma likes to be with her friends, whether it is to go to the gym, have a drink on a terrace, go on holiday or enjoy each other's company on the couch or in the kitchen. During her studies she worked for the University of Leiden. In particular, she very much enjoyed teaching freshmen. Her passion for consulting arose when, during her Masters Social and Organizational Psychology, she worked for a small consultancy firm as a junior consultant. She now wants to expand her knowledge and experience at Bright & Company. Arnoud Landlust (1975) has over 17 years of experience in organizational development. He sat on both sides of the table: as an external management consultant and as (interim) HR manager/advisor internally. Because of this he learned to understand the complex strategic side and the stubborn practice from different angles. As a sparringpartner of (senior) management, Arnoud has helped various (international) organizations with change, leadership and development issues and the associated design of HR. He has become familiar with the business administration, analytical side of organizational development as well as the inspiring, creative guidance of changes in practice. His strength is to really get this working in practice and he likes to do projects that are aimed at (re)formulating the people strategy and the professionalization of the HR function. He is aware of his own behavior and its effect on others and values ​​the human dimension and to have fun in what you do. Arnoud studied Policy, Communication & Organizational Science at the univerity in Amsterdam and has previously done the Hotel Managementschool in The Hague. Recently, he completed a three-year course in personal development. 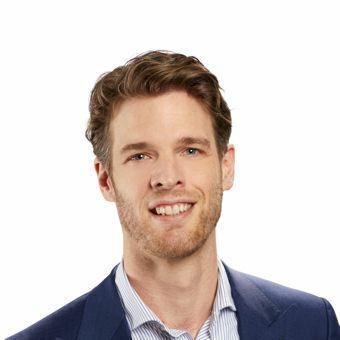 Before Bright & Company, Arnoud gained experience at, among others, Atos/KPMG Consulting, PwC Advisory, ING Bank, Vrije Universiteit Amsterdam, Walt Disney and Douwe Egberts. Arnoud lives together, is the father of two beautiful children and enjoys cooking and photography in his free time. Emma van Wissen (1994) joined Bright & Company in 2018. The previous year she finished her Master’s Degree in Social and Organizational Psychology at the University of Leiden. This background ensures that in complicated issues Emma has attention for the people but will not lose the goal out of sight. During her studies and several internships at large public and private institutions, Emma’s fascination for people on the work floor took shape. How can you stimulate people to excel, while valuing and motivating them optimally? Due to her open and sharp approach to cases she will not quickly be convinced by the sentence “it has always been done that way”. In her spare time, Emma is often with friends. She enjoys cooking for them and making sure everyone is enjoying themselves. Another way Emma likes to relax is by visiting a theatre or a nice concert. Erwin Rexwinkel (1962) is a people-oriented change agent who combines a deep interest in organisational dynamics with a passion to let people perform successfully together. He is driven by his belief that strong performing companies differentiate themselves by people who are committed to the strategic objectives and collectively motivated do what is needed to achieve those objectives. Inspiring and effective situational leadership are essential for that. Erwin advises listed and larger private companies. Dominant domain in his work is performance improvement by optimising work processes, organisation structures and (performance-) management systems on the one hand and steering on behaviour on the other hand. That is where many companies struggle and where Erwin truly likes to support them. Erwin studied business administration and business economics and has 30 years of experience in management and business consulting. 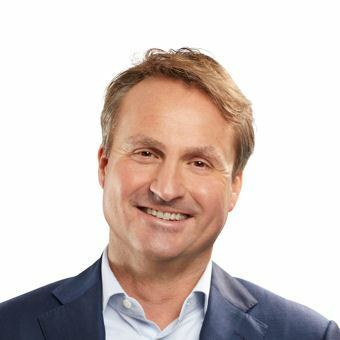 He started in 1989 at the Nyenrode Executive Management Development Centre and worked as consultant for Proudfoot Productivity Consultants and Andersen Business Consulting, where he became partner in 2001. After Andersen he was partner with Deloitte Consulting and PwC Consulting until 2012. In the years thereafter, Erwin executed consulting assignments as independent consultant and as partner of consulting firms SMC and First Consulting. Next to his work for external clients, Erwin has had a wide range of competence, managerial and market responsibilities. He joined Bright & Company as partner as of February 1st, 2019. Erwin likes (unexpected encounters with) people, hiking, a little fitness, travel, mountains, Italy and enjoying good wine and food. Next to that he is a passionate trainer/coach of a soccer team. For Fréderique Speckman (1970) it’s all about a focus on people. This started when at an early age, she worked for one of the biggest grocery stores in the Netherlands. However, over the years, the focus of client projects she works on has changed from solely retail projects to individual and organizational change questions. Fréderique has a big interest in people and their development. With her questions, analytical focus and creativity, she knows how to unravel complex issues. Through a calm and enthusiastic approach she knows how to create a trusted environment in which true attention can be given to people and their work. The solutions she provides are practical and can be put to use quickly. She enjoys exploring and traveling together with her husband and their two daughters. Cooking is also one of her favorite activities, alongside enjoying good food and quality time with friends. Since 2016 Fréderique has joined Bright as an associate. She studied Architecture at the Technische Universiteit Delft and completed masterclasses at Human Quality Management in Gent (Belgium). Next to this, she is a Clarity trainer, in which she guides individuals and groups in their journeys. After starting her career as an architect for Ahold and having transitioned into consultancy in 2003 with her move to Stamhuisgroup, she has worked as an independent consultant and coach since 2013. 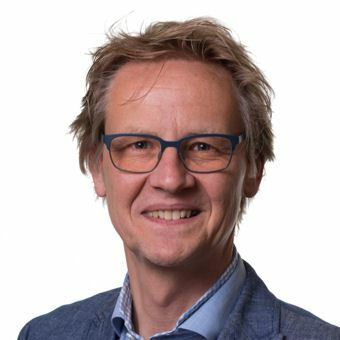 Jornt de Gruijl (1983) is a true 'inventor' with a background in AI and neuroscience, supplemented with extensive experience in management consultancy. Using this basis, he helps organizations find their way in People Analytics as data scientist and advisor. People Analytics can contribute to organizations on many levels: from formulating strategy to the execution of processes on the work floor, data analysis can provide a starting point. At every point, innovation is a requirement to make "soft HR issues" quantifiable. Jornt embraces this multi-faceted nature of People Analytics: the challenge is to coalesce the previously described complexity in a meaningful way, working closely with an organization to solidify fact-based working, all while ensuring that trust between employee and organization is not harmed in any way. Clients value Jornt's knowledge, creativity and openness. His knowledge and creativity enable him to come up with innovative solutions, while ensuring that they are compatible with the organization and the end users. Because of this approach, results are understandable, accepted and applicable in practice. Jornt's openness also ensures that outcomes are sustainable: he includes people throughout the process, shares knowledge and - if necessary or desired - gladly trains others. Before Jornt joined Bright & Company, he worked as a researcher at the Netherlands Institute for Neuroscience and as principal consultant at PA Consulting Group. He is a proud father of two and spends his free time on hobbies such as (portrait) painting, making music, programming and gaming. 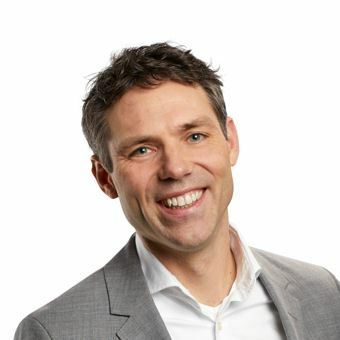 Kiek Bertels (1976) is an organizational psychologist and engaged senior consultant. She brings international experience in organizational development, HR, training & facilitation, change management and leadership development. Kiek uses a personal approach and has a positive and energetic personality. She is a trusted sparring partner for (senior) management. After working for Bright as a consultant for a year, Kiek decided to join us as an associate in January 2017. Kiek has over 14 years of experience in the corporate, technology, government, insurance and finance sectors and is focused on retrieving the underlying questions and needs. She is able to get people and organizations moving through an appreciative yet straightforward approach and connects to others in a friendly and honest manner. In her work and personal life she is inspired by Positive Psychology and Appreciative Inquiry; focusing on what works and making an effort to build on that. As a mom of three she knows very well how to combine pragmatic and creative solutions as well as positive directed attention. When she is not working as a consultant Kiek likes to discover new restaurants with her husband, spend time with her kids, have fun with friends or look for her mental and physical boundaries on her yoga mat. Kiek has previous experience working with Deloitte’s Human Capital Group, Atos KPMG Consulting, Microsoft HQ (USA), PeopleFirm (USA) and Ordina. For Klaas Schouwstra (1967) change, implementation and optimisation has always been part of his DNA. After having completed several projects in organizational development, he’s fulfilled several HR roles for the Beiersdorf Group. During the many change projects he worked on, his fascination for the interplay between business, technical and human domains has never left him. Since several years now, Klaas has developed a focus for optimizing HR functions. He enjoys working on projects aimed at professionalizing the HR department and/or optimizing the use of e-HRM functionalities. His talent is to create impact in those situations where the more business/technical focus and the organizational/people focus meet, and to help integrate them in order to create sustainable change. His family means the world to him. With two smart kids and his wife he is more than happy. He stays in shape by doing fitness and spinning, and he enjoys various types of music with his friends by visiting concerts. From Gregorian to Metal; Klaas is into it. Since 2016 Klaas joined Bright as an associate. He holds a bachelor degree in Economics and a Master degree in HRM. Furthermore he completed a post doctorate in change management. HR Organisation Effectiveness is his passion. Marthe van der Molen (1989) has been working at Bright & Company since 2017. Before Bright she was working as a consultant Organisational Development for a large Dutch consultancy firm called Twynstra Gudde. Marthe prefers to work on strategic change- and leadership problems from an appreciative perspective. Her passion is to create employee happiness. What motivates people, what do they strive for? What do they need to be of maximum value for their organisation? Leadership plays a crucial role in this. Marthe believes that there is little attention for the people that build the organisation; there are no results and there is no change without people. A change that has been constructed top down, often does not work. It is important that every individual makes a conscious decision to participate in the change or decides not to. Marthe works from a change perspective, engages insights from leadership development, but also grasps elements from positive psychology. This often creates a different perspective. Clients appreciate her personal and open way of working, in which she asks sharp questions and tries to create new insights together with her clients. With her down to earth mentality and background in modern dance, Marthe enjoys getting things moving. Loosen up things that are stuck, looking how things can be improved, giving people ownership for their own development, letting them flourish! 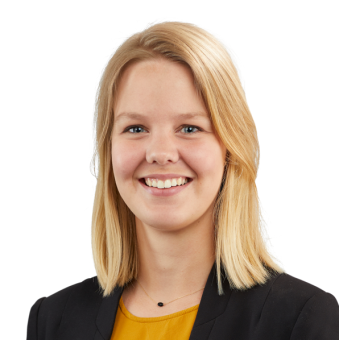 Marthe loves to work on organisational problems where proces, behaviour and people convene and likes to work on different levels in the organisation, from board level to the operational level. In her spare time Marthe practices modern dance and yoga and loves to travel. She also really appreciates healthy and gourmet meals. Martine (1964) has joined Bright & Company from 1st of September 2014. As Office Manager she supports both partners and consultants in their daily work. She is also responsible that everything is running smooth at the office. Martine has over 30 years working experience as a secretary, and worked as an Executive Assistant in a consultancy organisation in the past 26 years. Martine likes to ‘nurture’ the people whom she is working with, and to ease workload for her colleagues. Her strength is to set dates for meetings and appointments that are difficult or complex to plan. Her work is her passion. In her private life she spends a lot of time with her family (consisting of her husband Cor, and their two children Joost and Lisa, and Akuma the dog.) Every week, she does fitness exercises, and she loves to cook for friends and family. Organising cosy and joyful trips with and for friends and family gives her a lot of energy. Her favourite holiday destination is Greece. Her family’s goal is to discover a new Greek Island every year. Odette van Son (1973) helps organizations, teams and managers/professionals in realizing successful transformations. “What drives you?” This question is essential in understanding people and organizations, in order to allow talent, teams and companies to excel. Odette mobilizes the potential of an organization and creates an environment of trust so that a team or organization keeps developing, even after her departure. Odette has more than fifteen years of experience in a variety of management positions in the financial sector. She managed many major culture and change programs and was a trusted sparring partner at boardroom level. Always with a focus on results and with attention for what drives people or what keeps them from acting. She started specializing more and more in the people side of change. 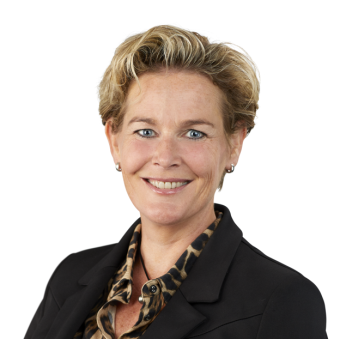 For instance, during the integration of ABN AMRO and Fortis, she was responsible for the culture and leadership development of the new bank and, together with her team, developed targeted interventions to achieve the desired culture. In her opinion, personal leadership is an important key to successful transformation. When people are willing and able to change, it inspires others to do the same. In 2014, out of her passion for the change management specialization, she became an independent entrepreneur. This gives her energy to help others to make a difference and - in doing so - sharing her experience in change processes. In September 2018, she joined Bright & Company as a partner where she works as transformation advisor, change manager, team facilitator and executive coach. Odette creates an open, trustful environment in which room is created for creativity, collaboration and feedback. She can quickly identify what is going on and is not afraid to discuss the “elephant in the room”. She is a true foody; loves great conversations during a delicious meal, likes spending time in nature and has a passion for cooking. Her hobbies include cycling, swimming, traveling and good music. Odette graduated in business administration at the Nyenrode Business University (Master Degree). 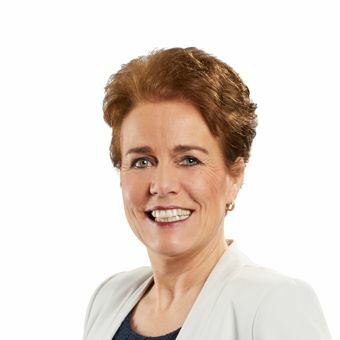 In 1996, she started her career at ING Group, where she held management positions in the field of sales, marketing and consultancy. 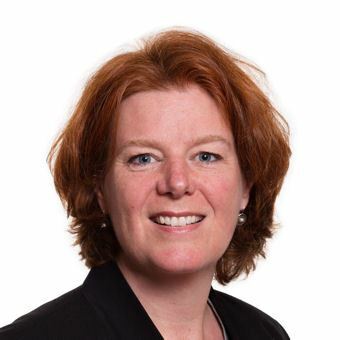 In 2006, she made the switch to ABN AMRO Private Banking as Head of Marketing and Communication and in 2010 she was appointed as Manager Program Development Change & Integration. Since 2014, she has been active as an independent entrepreneur. In 2017, she graduated as coach at the MMS Institute, an accredited program by the International Coaching Federation. Richard Jongenotter (1971) has been working as an organisational consultant for more than 20 years. He specialises in successfully implementing changes in organisations, combining a rational approach with a relational approach. Examples of the kind of rational issues that Richard is often asked to work on are an accurate diagnosis, a clear (business) vision and strategy, the setting up of organisations and drawing up strategies for change. In addition, Richard specialises in linking relational aspects to rational issues, such as team guidance, development of personal leadership competences and coaching management aimed at letting employees move along in the direction of the desired outcome. He does so in the capacity of advisor, trainer and mentor, often as programme or change manager. His approach is squarely aimed at getting results. Richard holds a clear mirror up to his clients, motivating them for constructive behaviour. Personable and involved, he makes connections between people without losing sight of the optimum result. Richard works for (international) private and public organisations. Richard’s sources of inspiration are many: travelling the African continent, photography, art and gardening. One day, he hopes to combine these inspirations with his work of guiding managers in their change tasks at the foot of Mount Kilimanjaro. Richard is a managing partner at Bright & Company. He studied business administration in Nijmegen and completed a Master’s course in psycho-analysis at Human Quality Management in Ghent. He began his career in 1993 at KPMG Consulting. In 2003, KPMG Consulting was absorbed into Atos Consulting under the banner of Atos Origin. Until 2010, Richard was a partner of the People & Change advisory group there. In 2010 he switched to Bright & Company. Rob van Dijk (1981) is an experienced and passionate consultant. He enjoys working on challenging issues together and achieving growth in organizations and individuals. Rob has a penchant for innovation and typical for Rob is his drive to provide innovative solutions to complex challenges. Continuous research and cooperation to achieve progress is what he stands for. In his approach he brings expertise as well as execution power and acts as a partner in crime with a critical attitude. Clients appreciate Rob for his analytical and critical view combined with a people-oriented approach. With a background in organizational psychology and IT, he combines the hard and soft side of HR in projects. As an expert in the field of people analytics and talent strategy he is an advocate of data-driven insights in determining strategy. Rob has over 8 years of experience as consultant and project manager with many large organizations in the private and public sectors. Before his time at Bright & Company, Rob worked at Deloitte, FCTB and LTP. Rob has a family with two daughters and is also a musician and avid film fan. Ruurd Baane (1974) is an open and charismatic professional, a consultant through and through. His approach is marked by keeping a sharp analytical outlook, asking rigorous questions, setting up a proper dialogue, creating new insights and arriving at creative yet practical solutions. His focus areas are the translation of organisational strategy into people strategy, advising on HR optimisation, guiding HR professionals in their professional and personal development, and the cultural, leadership and behavioural aspects of New Ways of Working. He worked for several years as an interim HR professional for various organisations. In addition, Ruurd is a successful speaker at conferences, seminars and training sessions, as well as a visiting lecturer at several universities. A true devotee of his profession, Ruurd greatly enjoys getting to the bottom of complex issues. He also publishes books, articles and columns in respected journals, often writing together with colleagues. Ruurd has two children and enjoys walking, travelling, sports, reading and good food in his spare time. Before becoming one of the co-founders of Bright & Company, Ruurd worked at KPMG Management Consulting and studied business administration and political science. Tony Brugman (1982) has been with Bright & Company since 2011. Within the agency he has the position of HR Business Analyst, but in-house we also refer to him as “the Researcher”. In a nutshell, his core business is knowledge, ranging from gathering and analysing to producing and distributing knowledge. As our consultants’ right hand, he looks for inspiring and surprising insights both within and outside our area of expertise every day. In his spare time, Tony likes to spend time with his family (he is the proud father of a son), playing music (he is a classically trained pianist and played keyboard in a rock band for years) and dancing (he practices the Brazilian dancing martial art of Capoeira). Before Tony joined Bright & Company, he worked as a researcher for TNO Work & Employment and the Netherlands Centre for Social Innovation (NCSI). There, he completed various research and consultancy projects in the fields of flexible labour, information-driven work and New Ways of Working. He is also one of the brains behind the “Talent Toolkit”. While studying Business & IT at the University of Twente he realised the usefulness and importance of building bridges between different professional disciplines (business administration and ICT).